Fans know Holly Durst as the bubbly winner of ‘Bachelor Pad 2,’ but now, she’s content just being a newlywed. Durst and Blake Julian, who met while competing on the reality show, tied the knot in South Carolina on June 2, 2012. The big day was perfect and more than she ever imagined. “I’m so happy! I love married life. It’s just the best,” she gushes. Durst says her best piece of advice for brides-to-be is to hire a wedding planner. She adds, “I planned my whole wedding on Pinterest. I wanted to make sure that I remembered all of the little things.” …Don’t miss the rest! Click here for more. 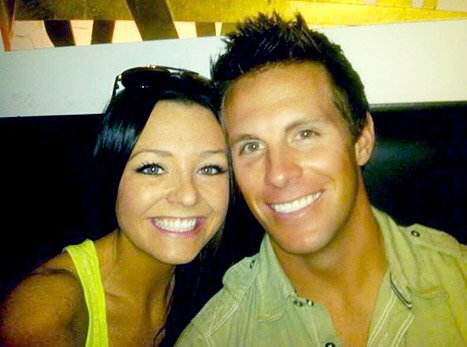 Blake Julian and Holly Durst. Photo courtesy of Durst. This summer, former Bachelor Pad reality stars Holly Durst and Blake Julian will have an intimate wedding in South Carolina and set off to the beautiful Caribbean island of St. Lucia for a romantic, one-week honeymoon. This dramatic season of Bachelor Pad 2 has finally come to an end. In this week’s episode, the contenders performed with Cirque de Soleil’s Ka, Blake proposed to Holly, the winners were declared and the next Bachelor was announced. We had a chance to chat with our Bachelor Pad 2 experts, David Good and Natalie Getz, to see what their thoughts were about the season finale. Kasey and Vienna did quite well in the final challenge, but ultimately didn’t get a chance to compete for the final prize. What are your closing thoughts on how they chose to play the game? Do you think they will remain together long-term? He said: I think they played the game great! People can dislike them as a couple but they still controlled the whole show till the end. As far as a couple, I wish them the best but I don’t see it working out from what we got to see of them on TV. 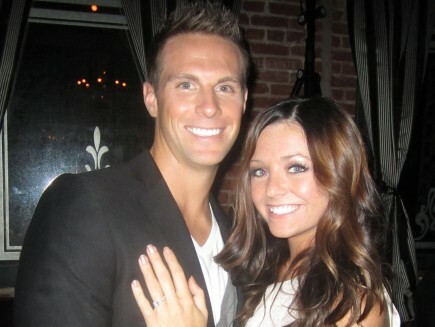 Michael Stagliano, 27, may have won The Bachelor Pad, but he ultimately lost ex-fiance Holly Durst, 28, to fellow contestant Blake Julian. Durst’s engagement to Julian was revealed to Stagliano on the show’s finale. Putting that shocking news aside, our jars also dropped when we read the jilted bachelor’s statement to People, which read, “We were engaged and therefore I will always care about and love her so it makes me happy when she is happy.” Way to take it like a man, Michael. How do you deal when your ex decides to marry someone else? …On the edge of your seat? Click here for more. As Labor Day weekend wrapped up, we were all treated to a suspense-filled episode of Bachelor Pad 2! During the episode, viewers witnessed a strategic challenge, romantic fireworks between Michelle and Graham, Erica’s over-the-top overtures towards Blake, and a final showdown between Blake/Erica and Kirk/Ella. To make sense of this crazy installment of summer’s guiltiest pleasure, we spoke to David Good and Natalie Getz, winners of Bachelor Pad 1. Michelle and Graham’s relationship took a big step forward this week — were you surprised they won the competition, given they have not been together for that long? What did you think about their strategy during the game? He Said: I think it has been growing; we have just not seen much of them because of the Jake/Vienna/Kasey BS. Best strategy in a game I have seen yet on the Pad! ‘Bachelor Pad 2’ Recap Episode 5: Vienna and Kasey Start to Crack, Graham and Michelle Hit it Off. This episode kicked off with Blake and Erica teaming up for the Nearlywed Challenge, an offshoot of the Newlywed Game, despite his real desire to be with Holly. However, Holly had promised Michael that she would stick with him to the end, although her behavior throughout the episode indicated that she might be having second thoughts about that decision. How do you avoid falling for someone too quickly? With Jake Pavelka eliminated, a new love triangle — involving Blake, Holly and Michael — has emerged on this week’s episode of Bachelor Pad 2. This week’s challenge might have ended some relationships and put a spark on others. Things got pretty crazy in the latest episode of Bachelor Pad 2. We saw Melissa flip out, Erica make the moves on Jake and a showdown between Kasey and Jake for the final rose. After the episode, we were left shaking our heads that Mr. Pavelka was actually eliminated, and were anxious to get thoughts about the dramatic episode from David Good and Natalie Getz, winners of Bachelor Pad 1. Were you surprised the men did better at the synchronized swimming challenge? What factors were most important to you as you were judging the performances? He Said: I was a little surprised until after and sat down and thought about it. Guys in the house on all the shows get along better than the girls do. The producers always talked to me about the Bachelor and Bachelorette — the guys are typically easy going, whereas the girls tend to be catty and backstabbing to each other. It’s the same reason most of my guy friends have like 15 good friends and the girls I know have like three or four, at most. This makes it easier for the guys to work together as a team, and it showed. Usually when a former Bachelor or Bachelorette leaves the show voluntarily, like two-time ‘Bachelor Pad’ contestant and swimsuit model, Gia Allemand did last night, it becomes the episode news headliner the next day. But last night’s storybook ending even knocked out coverage of the attention-seeking love triangle usually reserved for Jake Pavelka, Vienna Girardi and Kasey Kahl. It was a scene that leaves us understanding why even bad reality shows are beating out long-standing soap operas. You can’t make this stuff up! After Ashley Hebert’s confession to host Chris Harrison last week in Thailand and sneak peeks from ABC, it was no surprise that this week’s drama would center around Bentley Williams. Before the dates could start in Hong Kong, our bachelorette was treated to a private meeting with the bad boy. In the privacy of Williams’s hotel room, the pair had an honest conversation about Hebert’s feelings about their “dot dot dot” romance. After the villain said, “I feel like where you’re at in this process and journey, we should call it a period,” the bachelorette finally seemed to see his true colors. As she walked away from his room, she called him a “player” and shared that she felt “liberated” to move forward in her relationships and love with the remaining bachelors. With that chaos in the past, this week’s reality TV episode would feature two one-on-one dates as well as a group date. ‘The Bachelorette’ Season 7 Premiere Preview: Only Three Days Left! We’re only a few days away from the season premiere of The Bachelorette with Ashley Hebert and according to ABC, there are three words to describe the 25 bachelors competing for Ashley’s heart: Ooh La La! Check out this teaser clip below. In addition to a montage of the guys who will be in the hunt for roses, you can hear Ashley proclaim, “I can say my husband is here!” We can’t wait to see if Ashley’s predictions are correct and she ends up with her Mr. Right. Recently, Ashley told People that she’s happy with way things turned out for her. So while the handsome men in the teaser certainly deliver on the Ohhh La La, we know Ashley wants more than just good looks: she is looking for a guy who makes her feel comfortable and somebody with a positive outlook who will be be supportive and loyal. Mark your calendars and set your DVRs for Monday, May 23 at 8 PM/7PM Central to see if Ashley finds what she’s looking for. We can’t wait to see what happens to early favorites Blake, West and William! 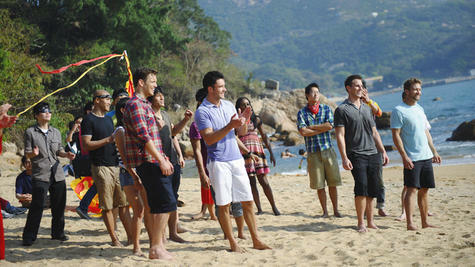 ‘Bachelorette’ Preview: Meet Ashley’s 25 Bachelors! We watched Brad Womack say goodbye to Ashley Hebert in South Africa and cheered when she was named the next Bachelorette. We’ve all speculated about what kind of guy will get Ashley’s final rose, and we’re excited to review the 25 bachelors on her season and make some early picks!